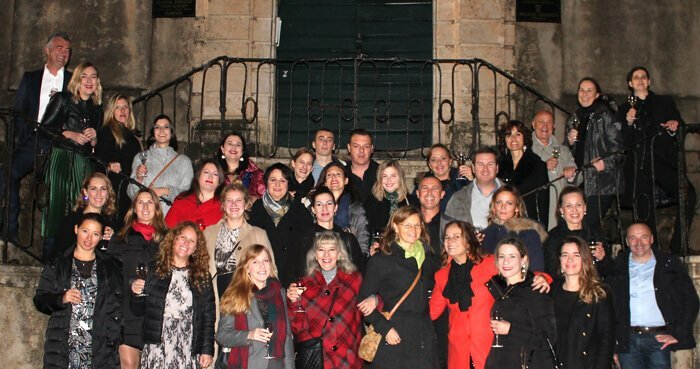 After successfully exhibiting at IBTM in Barcelona, sales calls in Scandinavia and workshops in Madrid, the whole DT Team including Split and Zagreb offices came together in Dubrovnik DT’s hometown to celebrate their achievements in 2017. The day began with a relaxed lunch meeting at Mimosa Restaurant just outside the Old City walls, followed by a team building activity in the City. The winners of the team building event were announced during dinner at the Kopun restaurant, and the Team ended the evening at AZUR BAR all within the Old City. This traditional DT event is celebrated each year at the end of the season before the commencement of winter holidays. Today, after 19 years, DT Croatia can proudly announce that it is leading position in the region has been sealed by the regional conference & incentive media. Special thanks to all those in the company that made this happen! 2017 was a challenging year for us, but with great results behind and happy team members we can smoothly sail into a soon new 2018!